Editor and chief content officer of ROI-NJ, a digital and print outlet covering the world of business and politics in New Jersey, Bergeron started the venture in 2017 after serving as NJBIZ’s editor for four years. “After spending years writing about entrepreneurs and startups, I decided to create one myself,” he says. A 25-year veteran of primarily sports journalism, Bergeron spent 15 years at the Star-Ledger, as the high school sports editor, then as the overall sports editor during a highly successful sports era which included numerous titles and trips to the finals for the Yankees, Giants, Knicks, Devils and Nets as well as successful athletics at Rutgers. Bergeron then worked for Yahoo! as an assistant managing editor for Yahoo! Sports, discovering that the world’s largest digital media company is quite technologically dysfunctional. When not writing and reporting, Bergeron coaches youth teams (more than 100 teams in the past 17 years!) and has served as his local Little League president for five years. A graduate of UVA, Bergeron and his wife, Lori, live in Morris Plains and have five children. One of his proudest moments was when his oldest daughter’s jazz/blues band (she was lead singer) participated in the Morristown OnStage competition. In his capacity at NJTV, Servidio supervises the operation, staff, and programming for the New Jersey public television station. 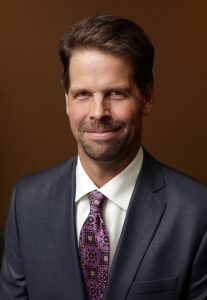 His hands-on management responsibilities include overseeing the NJTV’s weeknight news program, NJTV News with Mary Alice Williams, and the network’s live programming and specials, including the Governor’s annual State of the State and Budget addresses, state budget hearings, local political debates and election coverage. Servidio works directly with filmmakers and outside producers to negotiate and green-light new network content, and cultivates an array of media and content partnerships across the Garden State, including remote production facilities. In front of the camera, Servidio currently hosts the network’s student-film series, NJDOCS. Since 2009, he also serves as General Manager of the Long Island public television station WLIW21. 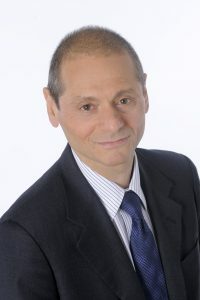 Previously, Servidio was a consultant for WNET, parent company of award-winning public television stations THIRTEEN and WLIW21 and operator of NJTV. His relationship with public media began in 1995 when his company, Betelgeuse Productions, was hired to provide engineering and editorial services for WNET’s new online edit rooms. He resides in Montclair, New Jersey, with his wife and daughter.